It’s a pretty weird sensation to leave home where’s in the mid-80’s and sunny in the morning and end your day in the snow… in June. Gaze over an enormous, Western, natural landscape, full of Bob-Ross-esque mountains, full of happy little trees. (Well, mostly happy. Probably not the ones in the areas that have been clear-cut.) 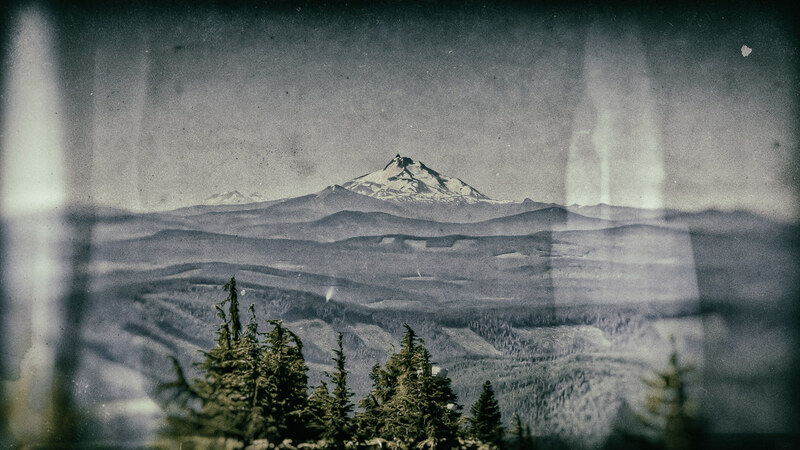 HDR techniques make images detailed and unreal and unnatural; wet-plate effects (courtesy Analog Effex Pro 2) make images soft and faded. Using the two together, as in this photo of Mt. Jefferson taken from Mt. Hood, makes for something more supernatural than unnatural. 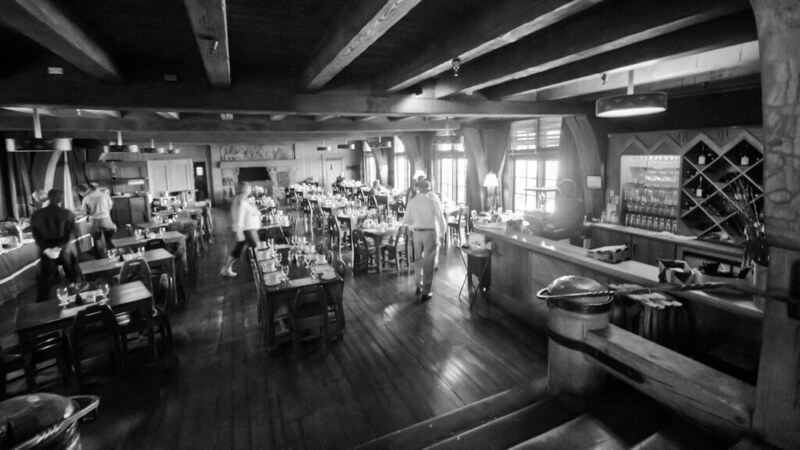 In the dining hall of Timberline Lodge (just around the corner from the gorgeous main hall), the imposing wood and the elegant place settings seem immovable and eternal. The human beings floating through, blurry and insubstantial and fleeting, are as ghosts. Waking up for Monday merits a pair of shots from my time at the Timberline Lodge in Oregon. Call it a before/after, if you’d like. 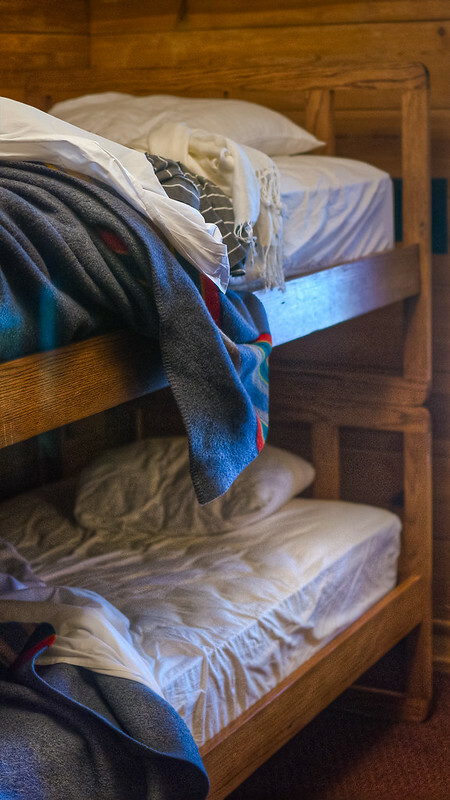 The tiny (yet charming) bunkrooms were full of rustic furniture, but looked even more surreal in the glare of morning light the next day. Running through the core of Oregon’s Timberline Lodge (last seen on Decaseconds Monday) is a chimney. 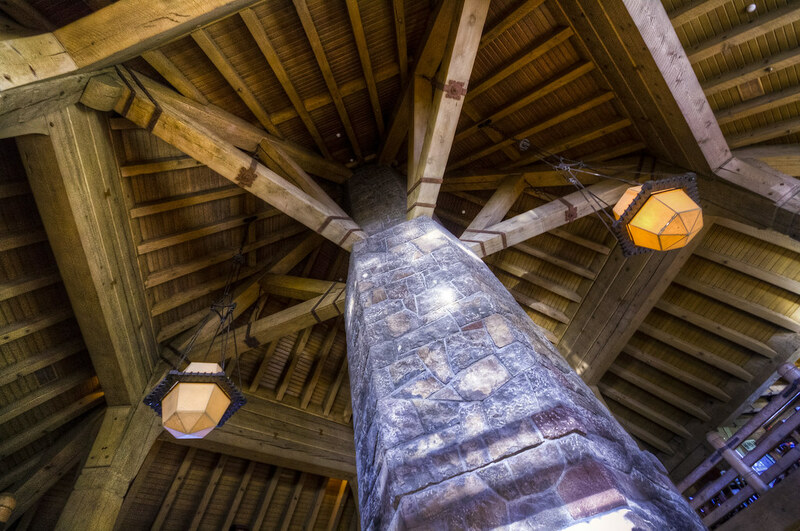 The hexagonal and redwood-girthy chimney feeds multiple communal fireplaces at person-level, but up in the vaulted ceilings it takes on a wholly different Harry Potter charm. 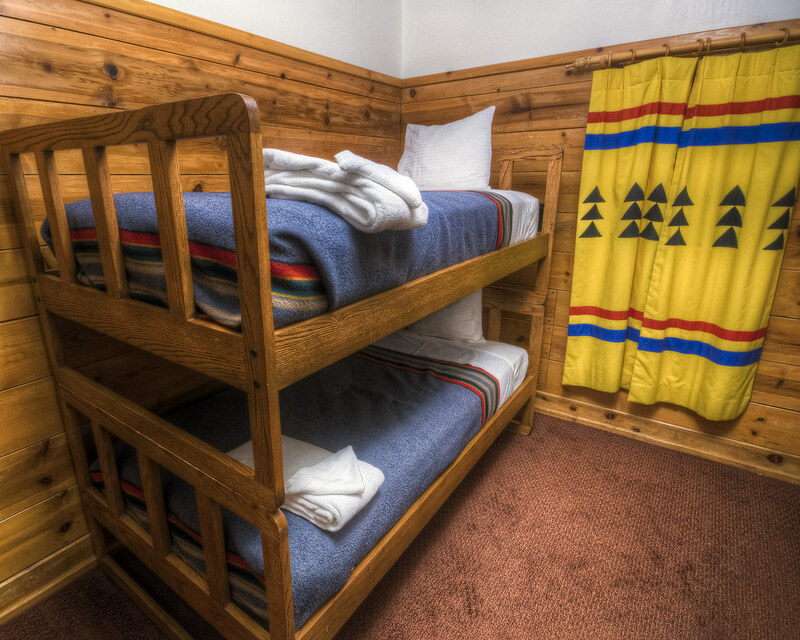 Wrought iron hardware and enormous beams bond the core to the rest of the lodge structure. At the end of a long day on Oregon’s Mt. Hood, returning in the evening to Timberline Lodge and its gorgeous/unique internal geometry is at once (slightly) alienating and welcoming. This quiet reading corner meets all of my criteria: not far from a fireplace and with the perfect chairs for curling up with hot chocolate. The blue fabric of these chairs, and their combination of rustic wood and steel, put me in mind of the This End Up furniture of the 1980s. The childhood associations only make the place more mentally comfortable. 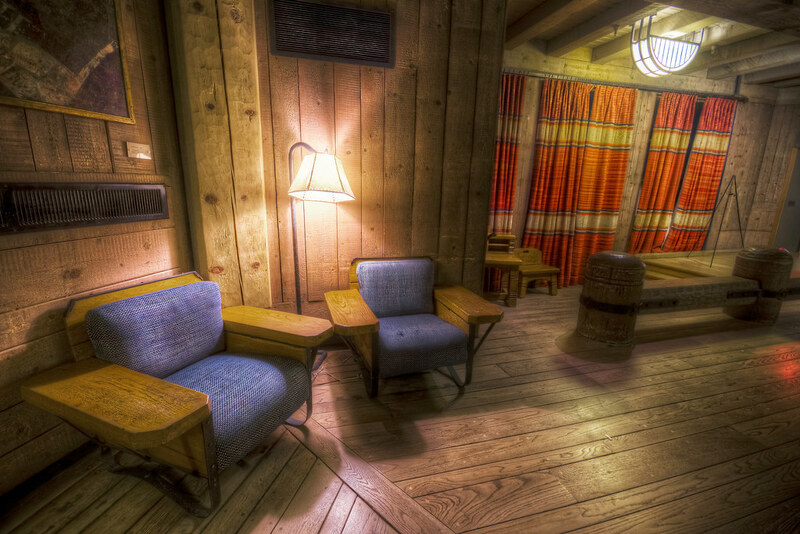 I only spent two nights in the surreal alpine mountainscape of Oregon’s Timberline Lodge. Though my previous photos were either in the dark of night or far-off scenes, I’m quite enamored of this morning shot. 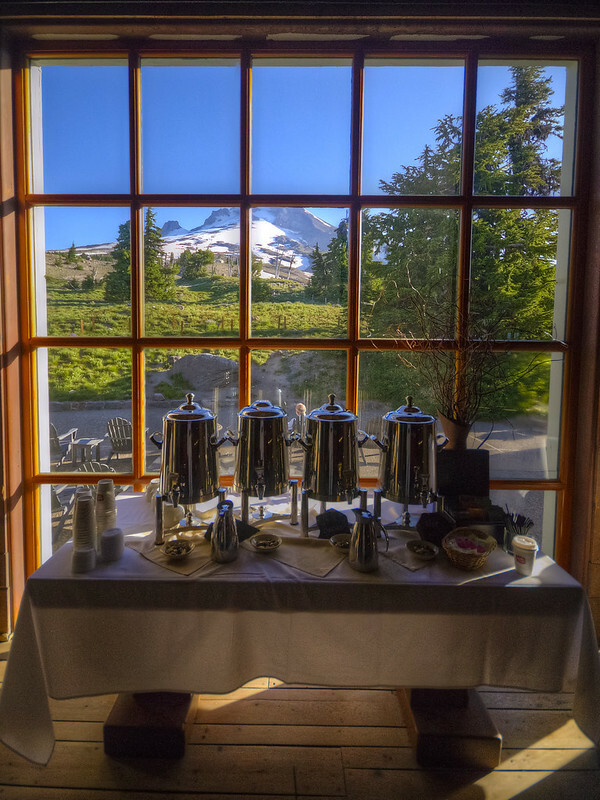 The mountaintop and the slopes stand in the distance, the morning light is casting long shadows, and the shiny carafes of coffee promise a sharp start.